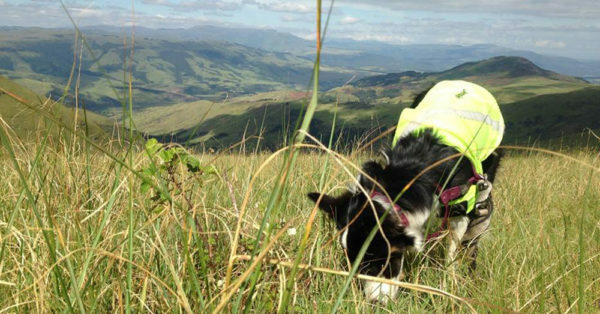 This Dog Is Helping Us Rediscover Species We Once Thought Were Extinct! Jessie is no bloodhound, but his snout is helping sniff out some very important clues. 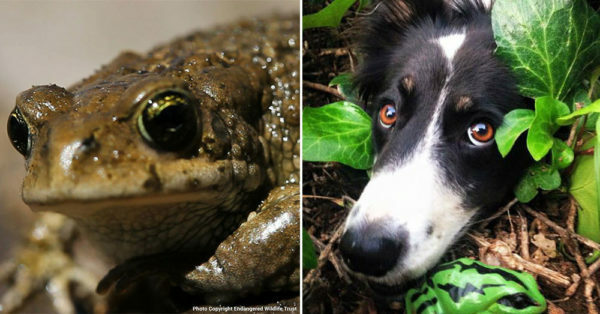 This border collie is responsible for locating endangered frogs and toads before we lose them forever. Jessie sniffs for droppings from the amphibians to determine how many are in the area and where they live. Jessie’s current case is South Africa’s Amatola toad, a creature previously thought to be extinct. Listed as “critically endangered” by the International Union for Conservation of Nature (IUCN), the toad had not been seen by humans since 1998 until being rediscovered in 2011. The use of sniffer dogs to locate endangered animals is on the increase. Dogs like Jessie survey swathes of land near the South African cape, combing through the savannah and forests for signs of amphibious activity. With 50 times more olfactory receptors than humans, it’s estimated that dogs can smell 10,000 times better than we can. With your support, Jessie will be able to continue searching for the elusive Amatola toad. Without Jessie’s insight into Amathole Toad population, habitat and threats, this little toad will surely go extinct soon. Click here to help Jessie continue on his mission!